Backers of a controversial plan to harvest kelp off the Scottish coast have said it could support a £300m industry. The proposal to collect 30,000 tonnes of kelp came from Ayr-based Marine Biopolymers (MBL). It claimed the material could allow it to create “invisible armour” or slow-release cancer drugs. MSPs are preparing to vote on a measure which could ban the removal of entire kelp plants. Green MSP Mark Ruskell successfully amended the Scottish Crown Estate Bill after 14,000 people signed a petition against kelp dredging. Veteran naturalist Sir David Attenborough has also spoken out in support, saying it is “absolutely imperative that we protect our kelp forests”. 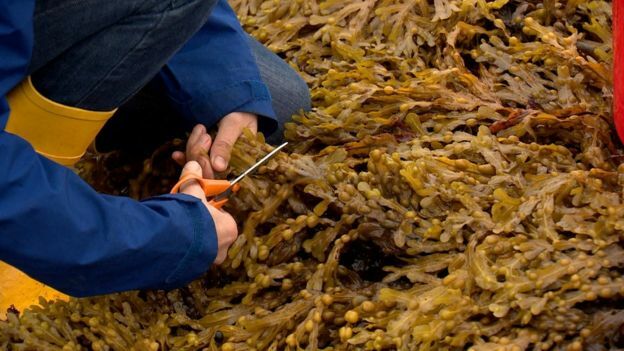 Ailsa Maclellan, who lives in Ullapool and harvests kelp by hand using a pair of scissors and a bucket, has been a vocal opponent of commercial harvesting. “This makes me livid,” she said. 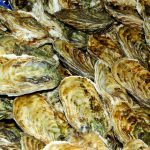 “There are lots of us along the coast who rely on this habitat for our jobs – fishermen, wildlife tourism. But MBL co-founder David Mackie insisted its plans to harvest the seaweed – laminaria hyperborea – are “entirely sustainable”. He said there is an estimated 20 million tonnes of kelp in Scotland’s waters. He also warned that, if MSPs support the ban on industrial harvesting, the company’s plans could be halted. He said the legislation, as amended, would put at risk much of the innovative work being undertaken by the business. MBL is working on a number of potential products. One is a “transparent armour” which could be used for helmet visors and body shields by police and the armed services. The nanocellulose produced from kelp could also be used to develop slow release drugs for treating colon cancer. The company believes it could also be an alternative to the vaginal mesh implants which have left some women in crippling pain. Dr Mark Dorris, a senior research fellow and lecturer in material science at Edinburgh’s Napier University, has been working with the nanocellulose from kelp. It is a potential replacement for packaging derived from wood pulp, but he believes there are more exciting possibilities. “There’s loads of applications for this, medical implants, meshes,” Dr Dorris said. This article was originally published as Scottish kelp harvesting plan ‘entirely sustainable’ at BBC News on 19/11/18.